Initial assessment must evaluate for the presence of any safety issues. For example, if significant depression is part of the presenting picture, I routinely assess for suicidal ideation, and, if present, evaluate the lethality of the threat. Symptoms may require a medical evaluation to rule out serious physical problems. Elder abuse, child abuse, neglect, and domestic violence must be addressed if relevant in initial assessment protocols. From a life cycle perspective, I want to “. . . track family patterns over time, noting particularly those transitions at which families tend to be more vulnerable because of the necessary readjustments in relationships. . . . Problems are most likely to appear when there is an interruption or dislocation in the family life cycle, whether because an untimely death, a chronic illness, a divorce, or a migration forces family members to separate or because a family is unable to launch a child or tolerate the entry of a new in-law grandchild” (McGoldrick, 1995, p. 31). It is important to be aware of the typical triangles and issues at each stage of family life (McGoldrick & Carter, 2001). From the perspective of my model of practice at http://www.Cunninghamtherapy.com, which is heavily informed by Bowen Family Systems Therapy, outcome is viewed very differently from other theories. A small change in one person may significantly change his/her life course, and such a small change cannot be implemented without therapy that may last several years. Also, a small change in one person may not be reflected in the family system for three or more generations. Kerr and Bowen (1988) state that “The more generations of a family included in an assessment, the greater will be the divergence in functioning. . . Given sufficient generations, every family will produce people from the extreme of remarkably high functioning to schizophrenia” (p. 221). Kerr and Bowen clarify that “. . . the most extreme forms of manic-depression, alcoholism, and obsessive-compulsive neurosis, for example, develop over the course of at least several generations. . . . Most distinctions between diagnostic categories may eventually be discarded in favor of a continuum ranging from mild occasional depression to chronic psychosis. . . so saying that the intensity of symptoms is generations deep does not necessarily mean that the actual symptoms have been present in preceding generations. It means that basic levels of differentiation are generations deep” (p. 241). It is important to understand that all people diagnosed with a specific disorder are not the same emotionally (Kerr & Bowen, 1988). As Kerr and Bowen explain, “There may be an inherited predispositon (genetic or otherwise) to [a disease like] manic-depression, but all people who have such symptoms are not equally adaptive. Those with low levels of differentiation have lives that are usually unstable in most aspects. . . those with higher levels of differentiation may have only one or two [episodes] in a lifetime. . . . The age of onset, severity and impairment of life functioning associated with all psychiatric diagnoses can be understood in the context of the multigenerational emotional process” (pp. 240-41). Some instances involve a combination of markedly impaired adaptiveness and fairly minimal life stress and produce a psychosis. In other instances, a combination of strong adaptiveness and extreme life stress can precipitate a psychosis. Kerr and Bowen explain that “Whether the potential for psychosis is actually part of everyone is difficult to determine. . . because there are so many other ways people manage anxiety. For example, there may be learned or genetically based psychological as well as biological tendencies that determine that a given individual will, when under stress, develop serious physical or social symptoms rather than emotional ones. This does not mean that the potential for psychosis is absent. . . . It just means he manages his anxiety, even when under extreme stress, in a different way” (p. 240). The Bowen therapist is concerned with assessing intensity in relationship. Papero (1990) describes an intense interaction as “. . . one in which strong feeling states are produced and very rapidly transmitted among the participants to the exchange. . . . Intense anxiety is a strong fear of real or imagined events. The more intense an interaction, the greater the likelihood that individuals involved will behave automatically, that is in response to the emotional system with the intellectual system being overriden” (p. 41). Such automatic behavior is viewed as reactivity. Since Bowen family systems is based in natural systems rather than cybernetic systems, the focus in not on homeostasis so much as it is focused on reciprocity. Thus, if one person’s functioning declines, another person’s functioning may rise. As such, it is possible, for example, that one sibling’s success may predict another sibling’s failure. Similarly, if an overfunctioning spouse decreases his/her functioning, the underfunctioning spouse should improve. Kerr and Bowen (1988) state, “It is the basic level of differentiation that is largely determined by the degree of emotional separation a person achieves from his family of origin. . . basic level is fairly well established by the time a child reaches adolescence and usually remains fixed for life, although unusual life experiences or a structured effort to increase basic level at a point later in life can lead to some change in it” (p.98). A given sibling will have a slightly greater or lesser amount of differentiation than his/her parents. As opposed to basic differentiation, functional differentiation is dependent on the relationship process. As such, people with very different basic levels can, under favorable circumstances, have similar functional levels (Kerr & Bowen, 1988). Related to functional differentiation is the concept of pseudo-self, which refers to “. . . knowledge and beliefs acquired from others that are incorporated by the intellect and are negotiable in relationships with others. Pseudo-self is created by emotional pressure and can be modified by emotional pressure” (Kerr & Bowen, 1988). Kerr and Bowen (1988) explain, “Assessment of the basic level of differentiation of a multigenerational family is one component of the assessment of basic level of differentiation of an individual. A second component is the impression about the individual’s awareness of the self in relationship. Change can occur when people apply their will to their own self-differentiation rather than trying to will others to change. In this way, one can change one’s position in his/her family system. Bowen (1978) did not consider the interpretation of transference as the way to change. Instead, Bowen thought that “. . . the therapist should try to stay out of the transference as much as possible by functioning in a detriangled manner that kept it fulminating within the family in front of him” (Friedman, 1991, p. 154). I agree, and coach clients to resolve transference directly with family members, especially within their primary triangles. In clients’ one-to-one meetings with siblings and parents, the effort is to develop an adult-to-adult relationship with each individual family member. By taking problems back to their original sources, the client is on a direct route to altering the etiological factors giving rise to current problems. Through revisiting one’s position, especially in his/her primary triangle, and by reviewing childhood distortions, the client’s perceptions become more realistic. In this way, family cutoffs can be repaired and fused positions can be shifted, which diminishes family anxiety. 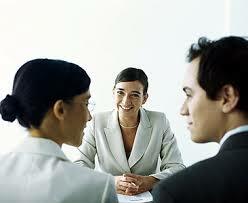 It is in this context that the client can change from a focus on others to a focus on self-in-relation. Bowen (Kerr & Bowen, 1988) believed that the process of change takes time. Change is not equated with symptom relief or even feeling better, but with an increase in the level of differentiation of the family. Long-term therapy increases the depth with which the client addresses multigenerational processes (Friedman, 1991), and this requires a commitment to therapy that may last several years. Change occurs outside of therapy, as the Bowen coach sends clients back to work with their families of origin. To affect change in the system, I work with the person most motivated to change, who often is the overfunctioner. The goal of the work with this person is to develop a differentiated leader, one who can lead the family in a way that will have a positive effect on all members. Horizontal and vertical stressors challenge the system in varying degrees, depending on the level of differentiation in the individual and in the family. By raising levels of differentiation, more flexible and adaptive responses to change can increase Bowen, 1978). Marked upward or downward changes in differentiation from one generation to the next are uncommon. Each sibling may have a little bit more or a little bit less differentiation than may his/her parents. Children that are focused upon more heavily are not as differentiated as those left freer to grow and develop (Kerr & Bowen, 1988). Thus, the position of each sibling in his/her family of origin may be more or less fortunate, leading to small but varying differentiation in lines of the family. Much as it takes several variables all lined up correctly to spawn a hurricane, so it is with negative outcomes in the human being and his/her family system. If only one variable is changed, it can prevent the storm that might otherwise have occurred. Bowen (1978) bypassed the marital fusion of the nuclear family in favor of focusing on at least three generations of the extended family (Titelman, 1987). Bowen (1978) concluded that “. . . families in which the focus is on the differentiation of self in the families of origin automatically make as much or more progress in working out the relationship system with spouses and children as families seen in formal family therapy in which there is a principal focus on the interdependence in the marriage” (p. 545). I believe that people are doing the best they can with the tools that they have at any given time. I also view the principles of psychic determinism (Freud, 1924; Brenner, 1973) and evolution as complementary. One thing follows naturally from another. To attend to the evolving process between people while at the same time analyzing the evolving process within people is the heart and soul of my theory of change. To learn more about my model of practice and pick up some free tips just by visiting the web site, visit me at http://www.Cunninghamtherapy.com or call 619 9906203 for a complimentary phone consultation! Bowen family systems, a seminal theory in the field of marriage and family therapy, is the cornerstone upon which I base my work. Murray Bowen (1978) believed that it was possible to move towards a science of human behavior. His positivist view clearly reflected his assumption that a real world exists that is independent of an observer’s subjective perceptions of it (Papero, 1990). More conservatively, I embrace a postpositivist perspective, in that reality “. . .can never be fully apprehended, only approximated” (Guba, 1990, p. 22). I believe that it is impossible for the observer not to affect the observed and vice-versa, but certain patterns can be identified regardless of these effects. Thus, although I am guided by Bowen theory, I am not a purist and have modified my application of the theory in some respects. Bowen family systems is a natural systems theory that is based on evolution and biology. It is aimed at enlarging one’s view of family functioning by exploring emotional processes over at least three generations. Bowen (1978) introduced eight interlocking concepts that must be viewed in relation to one another to be understood properly. These concepts include: differentiation of self; triangles; nuclear family emotional processes; family projection process; multigenerational transmission process; sibling position; emotional cutoff; and societal emotional process. Bowen (1978) believed that there is an order and predictability to human relationships. The relative ease or dis-ease of a system is primarily determined by the emotional maturity of its leaders. Thus, clinical work is conceptualized from the top down. Work on the self of the therapist begets improvement in clients, just as work on the leader of a family begets improved functioning in its members. By changing one’s role in a system, one can improve one’s situation. The central assumption underlying Bowen’s (1978) thinking is that there is a chronic anxiety that exists in all life forms. BFST holds that “. . . we have more in common with other forms of protoplasm than we differ from them” (Friedman, 1991, p. 135). Furthermore, biological evolution is viewed as the most important influence on how a family functions, and basic patterns are viewed as being the same across cultures. Core to BFST is the concept of differentiation of self, and working to increase differentiation in self is a lifelong process (Papero, 1990). Differentiation of self is inversely related to chronic levels of anxiety. The ability to choose between thinking and feeling and the ability to differentiate oneself from another person (i.e. knowing where one stops and the other begins) are the basic tenets that describe the emotionally mature or differentiated individual (Bowen, 1978). Friedman (1991) emphasizes that it is erroneous to equate differentiation with individuation, autonomy, or independence. Instead, “. . . it has less to do with a person’s behavior than. . . with his or her emotional being. . . . it has to do with the fabric of one’s existence, one’s integrity” (p. 141). BFST is unique in its tendency to think in terms of universal rather than discrete classifications (e.g. physical illness/emotional illness). From this perspective, functioning exists on a continuum. In fact, what exists in extreme conditions such as schizophrenia exists, to a degree, in all families (Kerr & Bowen, 1988). From Bowen’s (1978) perspective, people have much less emotional autonomy than previously assumed. While Freud (1924) viewed humans as motivated by unconscious forces rather than by rational thinking (which limited their autonomy from their inner selves), BFST sees people as functioning in limiting ways that reflect their familial environment (Kerr & Bowen, 1988). I believe that both intrapsychic and interpsychic limitations upon autonomy must be respected when conceptualizing a case. From the perspective of BFST, the two vectors within the familial environment influencing chronic anxiety are people’s reactivity to their personal space being intruded upon and their complementary need for connection. The cliche “Can’t live with them and can’t without them” describes this common dilemma. Patterns of emotional functioning are all related to the ways a family deals with its members impinging upon one another or, in reaction to impingement, disengaging from one another. It is important to emphasize that BFST does not deny emotions. It is quite the opposite. BFST is unique in that emotional, feeling and intellectual systems are differentiated from one another. “The term emotional–as in emotional system . . . is used to avoid a dichotomy between the psychological and the physical, and the emphasis on thinking is not to deny feeling but to emphasize the importance of self-regulation in the process of differentiation” (Friedman, 1991, p. 136). In a broader sense, the emotional system can be conceptualized as automatic functioning or as a kind of instinctual reaction. The emotional system is more than the brain. It also includes the mind, the body and our relationships. The feeling system involves the subjective experience that helps us be aware of what is going on in our body and in our environment. For example, our body system may become reactive, and this sets off a chain of events that becomes the subjective experience of pain. In contrast to emotions which are not felt, people can be aware of feelings just by feeling them. Kerr and Bowen (1988) explain that “Feelings appear to be an intellectual or cognitive awareness of the more superficial aspects of the emotional system” (p. 31). Bowen (1978) defined the intellectual system as that part of us that is unique. It is the system that allows us to reason and be objective. Our intellectual system allows us to draw conclusions, gather facts, and observe. It is also the system that allows for the subjectivity that is illuminated by feeling states, such as racial bias. Furthermore, the intellectual system gives us the awareness that our reasoning can be clouded by subjectivity. To the extent that one’s intellectual system can consider facts in spite of a feeling state is the extent to which one is able to process his/her experience from a differentiated position. Bowen (1978) believed these three systems occurred not only within the individual, but also in the entire family system. Triangles in a family, for example, are anchored in the emotional system, in that there is anxiety around attachment and distance. BFST attempts to use family relationships to help the individual to understand his/her intellectual, feeling, and emotional systems. Certain phenomena in families illustrate the reciprocal nature of the family unit. For example, one individual may gain strength in relationship to another person having lost or given up strength (Kerr & Bowen, 1988). Thus, one can only comprehend functioning in the context of the functioning of the other people close to him/her. Kerr and Bowen (1988) explain that “The degree of polarized extremes that these reciprocal traits reach is influenced by the degree to which family members define the differences between them as a problem and anxiously focus on ‘correcting’ those differences” (p. 8). My guiding principle as a clinician is Bowen family systems theory (BFST). I believe that family dysfunction is rooted in the extended family system. Unresolved conflicts from past generations and from childhood continue to be acted out in relationships in the nuclear family. It is assumed that external systems often determine intrapsychic feeling states, and that it is important to understand both the “. . .historical process in the family and the larger social context in order to transform family relationships in the present” (McGoldrick & Carter, 2001, p. 282). Furthermore, it is assumed that “. . . if one person changes her or his emotional functioning in the family, the system will eventually change. In this framework, family relationships are forever, and it never makes sense to write off a family member once and for all” (McGoldrick & Carter, 2001, p. 282). My thinking has also been influenced by psychodynamic concepts. BFST and psychodynamic modalities share the assumption that the past is important. I believe that a close examination of past emotional processes in self (psychodynamic) and in one’s family over at least three generations (BFST) is a route toward making conscious what was previously unconscious. Intense study of self from both a psychoanalytic perspective and from a multigenerational family systems perspective has afforded me a bifocal lens with which to view and conceptualize clinical cases. Finally, humanistic existential thinking influences the way I think about change. Like BFST and psychodynamic models, humanistic existential therapists privilege the experience of the relationship as a route toward change (Buber, 1970). While BFST and psychodynamic models are deterministic with an emphasis upon the past and upon insight, the humanistic existential therapist emphasizes the fluidity of life and the human potential for growth (Rogers, 1961; Yalom, 1980). Though personal choices may be limited by external circumstances, the existential therapist rejects the idea that people are victims of circumstance. Since there is a focus upon “. . . development of potential. . . awareness. . . peak experiences. . . oceanic oneness. . . self-realization. . . [and the] I-thou encounter” (Yalom, 1980, p. 19), humanistic existential ideas are saturated with hope. No matter how intense the family history, it is possible that an individual can make positive meaning out of any situation, and it is up to him/her to discover this meaning (Frankl, 1963). To create a therapeutic environment that fosters such growth, it is incumbent upon the therapist to develop the ability to have accurate empathy, congruence, and offer unconditional positive regard to clients (Rogers, 1975). In embracing these divergent ways of thinking, I am aware that underpinning my theory of therapy and change is a “both/and kind” of thinking. I resonate with Watzlawick’s (1964) idea that “Whoever is conscious of being the architect of his own reality would be equally aware of the ever-present possibility of constructing it differently” (p. 327). I believe that an important marker of emotional maturity is the ability to hold complexity and tolerate the ambiguity that is part of the human condition. In this spirit, I pick up common theoretical threads that allow me to practice therapy from multiple perspectives in a congruent way. These divergent ways of thinking come together around emphases on theory over technique, insight over strategy, experience over empiricism, process over content, and strength over pathology. Additionally, I look to developmental theory as a guide to understanding the family and the individual in the context of the individual and family life cycle (Carter & McGoldrick, 1980). I often educate clients about the tasks of each developmental stage and normalize the crises marking their current stage in the individual and family life cycles. My theory of therapy and change is informed by the notion that although “. . . each of us is embedded in systems, we are also separate. . . . Neither a psychology of separateness nor one of embeddedness alone is fully adequate to explain human behavior or to serve as a guide for clinical practice. Working with the whole system means not only considering all the members of the family, but also taking into account all of the personal dimensions of their experience” (Nichols, 1987). While this outline is but a brief description of the model, you may learn more details by visiting me at my website at http://www.Cunninghamtherapy.com and clicking on model of practice. 1. Head to San Diego’s many beaches, all free to the public, to swim, body surf or hang-ten. Play in the sand, collect seashells or just bask in the sun. 2. 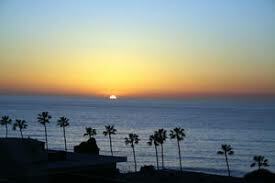 Visit La Jolla Cove and see the magnificent sunset on the ocean. La Jolla Cove is one of the most spectacular natural settings in the world. 3. Visit downtown San Diego’s Seaport Village for hours of free entertainment, leisurely strolling and window-shopping. Enjoy a laid-back day of hanging out in the grass and watching the many passing yachts and ships on picturesque San Diego Bay, or take in the sights from one of the many bay-view eateries. 6. Enjoy free organ concerts at 2 p.m. on Sundays at the Spreckels Organ Pavillion in Balboa Park. The Organ Pavillion features one of world’s largest outdoor pipe organs, a San Diego landmark since 1914, where organists play traditional favorites, waltzes and show tunes on enormous 32-foot pipes. 7. Visit Old Town and witness the living legacy of San Diego history. Guests are also invited to wander free through Old Town’s historic buildings, including the blacksmith shop, Seeley Stables, Stewart House, Estudillo House and the oldest schoolhouse in San Diego. 8. Bike or jog along Mission Bay Park’s many trails. Joggers and walkers share more than 20 miles of scenic running paths that wind through sunlight and shade near the shoreline and feature workout courses at planned stations along the route. 9. Visit the U.S. Olympic Training Center in Chula Vista for a free tour of the 150-acre facility, including training fields and tracks, athlete dorms and the Otay Lake Reservoir. Tours are offered daily from the Copley Visitor Center between 10 a.m.-3 p.m. on Monday through Saturday, and 11 a.m-3 p.m. on Sunday. 10. Stargaze outside the Reuben H. Fleet Science Center in Balboa Park on the first Wednesday of every month. The San Diego Astronomy Association sets up huge telescopes to offer guests a great view of all the stars in the night sky. 11. Take a scenic, one-hour drive to Mt. Laguna. Once there, hop out for an invigorating hike and enjoy the fresh mountain air whispering through the pines. 12. Step back in time with a stop in Julian, a century-old gold mining town in the Cuyamaca Mountains. Pick up a free map at the Chamber of Commerce for a self-guided walking tour of the area’s historic sites and later enjoy a slice of homemade apple pie – a Julian specialty! 13. Grab your picnic basket and head to Torrey Pines State Park where you can watch talented and daring hang-gliders do tricks in the strong winds that sweep along the coastline cliffs. 14. The 59 Mile Scenic Drive allows travelers to take in all of the must-see places in San Diego. 15. Rollerblade, skateboard or bicycle along the Mission Beach Boardwalk, a scenic 3-mile boardwalk along picturesque Mission and Pacific Beaches. 16. Visit Mission Trails Regional Park to explore the cultural, historical and recreational aspects of San Diego. Stop at the Visitor’s Center and learn about the wonders of nature and the people who once lived on the land. Or, roam through the park’s 40 miles of natural and developed hiking and biking trails. 17. Go scuba diving or snorkeling off San Diego’s shores and see spectacular creatures of the sea. La Jolla Cove offers some of the clearest waters on the California coast, as well as miles of protected underwater preserves to explore. 18. Go bird watching at the Torrey Pines State Reserve. Located high above Torrey Pines State Beach, the area is home of the rare and ancient Torrey Pine as well as a beautiful protected habitat for swifts, thrashers, woodpeckers and wrentits. 19. Stroll through Balboa Park and marvel at its beautiful Spanish Colonial Revival architecture. While there, take advantage of the park’s variety of offerings, including 15 museums (select museums free on Tuesdays for San Diego residents), free daily park tours, public organ concerts (Sundays), and spectacular gardens (seven are free daily). 20. Visit other museums around town that offer similar free days. In its La Jolla facility, the Museum of Contemporary Art San Diego is free on the third Tuesday of each month; the downtown facility is free daily. 21. Gather family, friends and firewood for a cozy beach bonfire at one of the beaches in San Diego County, including Coronado Beach, La Jolla Shores and Mission Beach. 22. Explore the tidepools in Point Loma at low tide and get up close and personal with flowery anemones, scampering shore crabs, elusive octopus, spongy deadman’s fingers and many other magnificent sea creatures. 23. Drive to the top of Mt. Soledad in La Jolla for breathtaking, 360-degree views of San Diego, including the gently curving La Jolla coastline and Mission Bay. Spectacular views of San Diego’s East County communities also await guests at the top of Mt. Helix. 24. Visit the Anza-Borrego Desert State Park and experience the natural beauty of the desert. The 600,000-acre park is one of the largest state parks in the United States and each spring, following winter rains, explodes into a rainbow of colorful wildflower blossoms. 25. Take a scenic walk along The Big Bay, San Diego’s “largest attraction.” With 27 miles of waterfront featuring bayside parks, marinas, hundreds of shops and restaurants, and miles of promenades and bikeways, the Big Bay appeals to all ages and interests. Date nights are an important part of any conscientious couples’s week. It is important to care and nurture your relationship, just as you care and nurture your children.To learn more about my effective model of practice, visit me on the web at http:www.Cunninghamtherapy.com and get some free tips just for stopping!